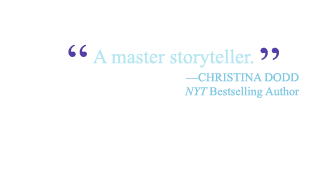 My dear readers, this short story is my love note to all of you who are so patiently waiting for my next book. As I’ve been researching and spending time in Wyoming, Laramie has become a second home—and the old buildings and history have woven their way into my imagination. 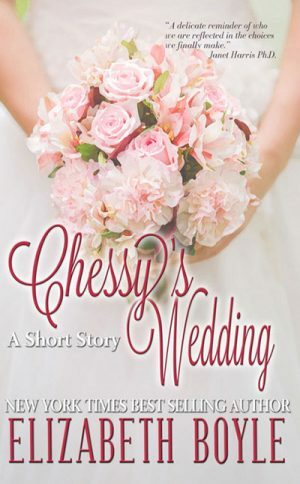 This short story was my way of testing the waters in this new world, and I am pleased to tell you that Chessy’s Wedding was a finalist in the Laura Short Story Awards. I’m even happier to share this story with all of you. “Uncle George, don’t call me that. No one calls me that anymore.” Margaret gave his arm a squeeze and glanced around the foyer of the church to see if anyone had heard him. Thankfully they were all alone, the last of the guests having been shown into St. Matthews, where the pews overflowed with the finest citizens of Laramie, along with the groom’s family and friends from the East. Why this was probably the biggest wedding Laramie had ever seen. Something terrible fizzled down Margaret’s spine. Nerves, she told herself. It was just nerves. Whatever for, though? She had every right to be married here. This was home. Even if after the wedding luncheon, she’d board the train again and go back East. After all, she was marrying Mr. Francis Hartley, Esq. of the Connecticut Hartleys. The son of a senator. A newly minted lawyer himself. In less than an hour, she’d be Mrs. Francis Hartley. So there was no reason to be beset with nerves. This was exactly what she wanted. “I don’t put on airs,” she shot back, even as a bit of intemperate Wyoming wind gusted through the open door, and her veil—the one she’d brought back from Paris—fluttered like a startled grouse, all feathers and wild wing beats. She let go of Uncle George—her anchor at the moment—and tried her best to rein in her errant headpiece, and only after she had it corralled did she remember something else. Her uncle snorted. Like he did when one of the ranch hands came back from town, bleary eyed and broke, and full of excuses. At least he wasn’t saying what he always said then. What a load of fiddle faddle. The wind gusted again, and this time picked up her veil and nearly twisted it free from where a teary-eyed Aunt Alma had so carefully pinned it in place. My girl, getting married. It just can’t be, she’d said over and over. Because she was their girl. Her parents had died when she’d been an infant and Uncle George and Aunt Alma had taken her in and raised her there on the ranch with their own three sons. Even now, Aunt Alma was taking her place up front beside Aunt Hetty and the two sisters turned and smiled back at her, one tentatively, the other with a proud determination. “Should I wave down Mrs. Averill to start playing?” Uncle George asked yet again, even as he tugged at his tie. He’d looked around the sanctuary as well, and while he might be able to stare down even the meanest of bulls, a packed church full of matrons in feathered hats and fancy gents in morning coats and top hats was enough to have his mouth moving like a trout just pulled from the river. If he had more to say, it wasn’t finding any purchase. “I can’t . . . Not yet . . .” Margaret stammered. Heavens to Betsy, she couldn’t go marching up the aisle with her veil all akimbo. That would never do. Not for the future Mrs. Francis Hartley. “I’ll be just a second, Uncle George.” Then she turned and fled for the little antechamber off to the side, leaving her poor uncle teetering on his own, staring back at the crowd all empty handed. “Just a moment, folks,” he announced in that loud timbre of his, but those who knew George Pickens certainly heard a rare note of uncertainty in his voice. All around the church, people shifted and glanced around, tipping their heads together to quietly add their own two cents. Margaret, meanwhile yanked the door open and closed it just as fast, leaning against it as if she could bar the world from finding her. Her eyes sprang open. She hadn’t even realized she’d closed them. Her veil had fallen over her face and she swatted it aside. Not that she needed a clear line of sight. She knew that voice. It tugged and teased all the way down her spine. Five years slipped loose and now she was truly back where she’d started. And here was John Bishop. Standing right there. All dusty and wearing dungarees. Dungarees! And patched ones, at that. Just like this was some ordinary day and this was Mr. Miller’s feed store, and certainly not St. Matthews. She blinked and looked again, just to make sure it was really him. He’d grown a bit broader than she remembered, and even a bit taller. There were lines on his face that hadn’t been there, not deep ones, but the beginnings. He grinned. “Hey, Chessy.” He eased closer, lazily tossing his hat on the bench and bringing with him a saddlebag of memories. And trouble. Oh, definitely trouble. “What are you doing here?” Her back pressed into the door to keep it shut, even as her hand curled around the knob. “I’m getting married.” The rebellious lace fell forward again. She’d stopped batting at her veil for there was no hope for it. Parisian lace no match for Wyoming wind. Or John Bishop, for that matter. “You want some help.” He stepped closer, but she swatted him away. “No.” His rough hands would snag the delicate threads. Sidestepping him, she put her bouquet down on the bench, well away from the battered old Stetson she remembered so well. Ignoring it, she settled in front of the small round mirror on the wall. Her reflection held no good news. All she could do was sigh. The veil would have to come off and be pinned back into place. Carefully she pulled the pins out and then gently shook the lace out, the gossamer silk flitting with a butterfly’s grace. This was not what she’d envisioned standing in that Paris fitting room with a fluttering cadre of seamstresses smoothing everything into place. Oh, why had she come back? This would never have happened in some staid church in Connecticut. Squaring herself in front of the mirror, she began the precarious task of getting her veil back in place. But in the corner of the mirror, standing right beside her reflection was John, his blue eyes alight, his lips twitching. Oh, she knew him. He was trying his best not to make some remark, but it would come out. “But what are you doing in here?” she asked, turning around and facing him. He coughed a bit. “So why didn’t you invite the groom?” He threaded his thumbs into his belt loops, brows all arched up with mock innocence. “I did.” She swung back to the mirror, determined to make short work of this business. The veil. And John. “Funny, I didn’t get my invitation.” He edged closer so that his reflection peered over her shoulder. “Funny that you would think you should,” she replied, forgetting years of East Coast decorum and elbowed him aside. She stood there, staring at the two of them in mirror, waiting for him to say something, the past and present a blur, quivering as time seemed to still, those words she’d longed for him to say back then still hanging in the air waiting to be plucked loose. But all they found now, just like then, was the same stubborn silence that had let her slip away. Those old wishes were nothing more than cobwebs now, so Margaret went back to fixing her veil. She nearly had it in place when off in the distance, a train whistled, and she stopped to listen to that lonesome cry. “You still listen to trains, don’t you?” The hint of sadness in his voice said as much as his silence. For it had been that whistle that had drawn her away. And if she were being honest, she’d tell him she hadn’t listened to one in years, and now it sounded different, as if it was welcoming her home instead of luring her to leave. Growing up she’d never been able to let that keening cry just pass her by. Like the wind, it held secrets, and she had always stopped to listen until the very last note faded from hearing. How many nights had the two of them sat atop the hill on her uncle’s ranch, waiting for that whistle, to catch a hint of the faraway lights as the Union Pacific rumbled across the plains? Going west. Going east. Going somewhere. Full of hopes and dreams and wishes. Not that Margaret hadn’t found much the same with John. How many times had they laid under the stars and spun dreams of their own. A ranch. Cows. Horses. Starry nights. All their own. To a child of the wide open, trees held as much awe and mystery to Margaret as that far off train whistle. Apple trees that blossomed in the spring, full of promise, and in the fall, drooped heavy with fruit in an offering of thanks. Orphaned and torn from all they knew, these trees found a new ground, and against all the odds, they put down roots and grew in this wild country that had never seen the likes. To her delight, they had trees a plenty back east, what with their stout elegant trunks and grand canopies. And deep roots that held them fast. Standing exactly where they were meant to be. Just like she would as Mrs. Francis Hartley. Putting down roots. Belonging. She was sure of it. At least she had been up until a few moments ago. Margaret huffed a sigh. After her third attempt to get the length of Paris lace to settle into place, she realized she’d never get this wretched veil on by herself. She was going to have to ask Uncle George to go fetch Aunt Alma. Carefully settling the lace beside her bouquet, she crossed her arms over her chest and turned toward her other problem. Margaret glanced away. The other girl had been more than happy to write long chatty letters about the goings-on back home if only to drop barbed hooks about seeing John. At the dances. At the fair. “I honestly don’t care who you see,” she told him. And she did her best to sound like she meant it. Because she did. She really did. “Well, that makes one of us.” His gaze swept over her again and from his narrowed, flinty examination she’d apparently come up, in his estimation, lacking. Who was he to judge? The sharp retort that whistled to be heard found itself stoppered fast, for she also knew what it was to have him turn his blue-eyed gaze in her direction with a light of appreciation, the sort of glance that had sent shivers down to the souls of her boots. Of course she didn’t wear boots any longer. Still, with his eyes raking over her, the small room grew a bit closer, and she realized how much of home John had brought with him. No matter the Floris perfume she wore, it was lost in an air of horses and sweat. Dust. Wind. How was it that wind could have its own odor? But it did. And John. He smelled like a man ought. Like hard work. Like he’d ridden hours to get here. Which he must have. No new-fangled motoring car for him. That’s why he smelled like the wind. Like horses. “Chessy? Chessy, you doing alright?” Uncle George knocked at the door. The two of them turned in unison. “Good. Holler if you need me.” Though it sounded like he hoped she wouldn’t. She knew she ought to. Holler. Throw the door open and ask her uncle to throw John Bishop out like the skunk he was, but the words wouldn’t form. Then again, she didn’t have a lot of confidence that Uncle George would—throw the son of their nearest neighbor out. Nearest and dearest, as Aunt Alma called the Bishops. Especially John. Chessy’s John. No, she couldn’t think of him that way. She’d stopped thinking of him that way five years ago, and now was hardly the time to pick up old habits. “I don’t like it.” Chessy. That old nickname from her childhood. Why couldn’t the boys around the ranch have just taken some regular form of Margaret and been done with it. Like Meg. She could even have tolerated Maggie. But instead, she’d been crowned Chessy by the entire lot of them. Oh, those words just about took her breath away, that is if it hadn’t been for the supreme arrogance with which they were said. “What?” She blurted out without an ounce of composure. “My Francis has a mustache,” she told him, trying to sound smart. Sophisticated. And a long-forgotten image of the woman reared up in her memory. And indeed the woman did. She pressed her hand to her lips to stop the bit of laughter that bubbled up, especially as she spied that twinkling bit of mischief in John’s blue eyes. He stepped closer, so close she could have traced the lines across his brow. This man who worked outside, with his hands and his wits. In the sun and the snow. And the wind that howled in vengeance one day . . . and whispered its secrets the next. John Bishop was a man who knew the wind and all its vagaries. He tipped his head and looked at her again. “I suppose Hetty picked out that dress.” There was no approval in his words. “What do you care? I’m not marrying you.” But that he’d guessed the truth stung a bit. The dress hadn’t been her choice. Aunt Hetty and Mrs. Hartley, her future mother-in-law, had made the decision, calling it ‘divine’ and ‘perfect.’ But he didn’t need to know that. Then again, John had never liked Aunt Hetty. Her mother’s and Aunt Alma’s older sister, Hetty had married a wealthy business man and gone east with him, all the way to New York City. Twice a year—for her birthday and Christmas—she’d send Margaret extravagant gifts. Furs, fans, dresses, books, programs from stage plays and musicales. Tantalizing glimpses into a world far beyond a lonely ranch in Wyoming. And every year, come August, would come an invitation. Please, Margaret, come live with me. Come to school here. Finally one year, Hetty offered a lure that not even Chessy could resist: to send her to Bryn Mawr. The lure of such an education had been too much. The twinkle of faraway electric lights and the whistle of the train finally seducing her. Then after graduation, Hetty had insisted on one more trip—for the sort of polish that could only be found in London and Paris. She hadn’t realized it, but she was looking out the window again, toward where the last notes of the train whistle echoed. And a small breeze blew in around them, leaving the room with a clean fresh scent. West. Margaret inhaled deeply. The train was going west. Oh, he was the devil. He knew what Hazel meant to her. Her companion in adventure. Riding together every day under a wide blue sky. Hazel, always fleet of foot, and fast. Always ready to race for the horizon. “Come on, Chessy.” He moved over toward a door—one she hadn’t noticed until now. One that led right outside, she guessed. So that was how he’d gotten in unnoticed. And Hazel was out there. If she knew John, her horse was saddled and ready. She shook her head. Because if she did that, let herself be lured through that portal, she wasn’t all that confident that she’d come back inside. Because it wasn’t just John she’d missed–yes, well, it was mostly John—but everything else. Hazel. The wind. The stars at night. Riding free and wild. Whooping with joy. The smell of Aunt Alma’s biscuits baking in the stove. She hadn’t realized just how much she had missed home until she’d stepped down onto the platform in Laramie and taken that first deep breath. As if she’d had any air for years. It was also exactly why she hadn’t gone out to the ranch despite Aunt Alma and Uncle George’s pleas. Didn’t they realize that being this close was like standing on the cusp, a precipice, like being offered one last fleeting glance at heaven and then having to turn and walk away. Again. She didn’t dare. Even last night in the hotel, she’d gotten up in the middle of the night and stood outside, stood alone in the dark and looked up at the sky, tracing the familiar stars with her finger just as she had as a child. And they’d all been there waiting for her. Just like Hazel was now. Come back, Chessy, come back. She shook her head. She was Miss Margaret Phillips of New York. And soon she’d be Mrs. Francis Hartley. Well removed from the sunburnt and wild Chessy who’d left Wyoming. That was what she wanted. It was. “I brought you something else.” John turned and hefted a saddlebag up onto the bench. A bit of dust rose around it as he dug into the depths without a bit of hesitation. When he turned around and held out his offering, all she could do was gape. “Where did you get those?” she finally managed. ‘Those’ being her old flannel shirt, dungarees, and favorite hat. “Aunt Alma would never have—” Margaret pressed her lips together, stoppering back the denial. Because of course she had. Who else would have given them over? “Sure you are,” he told her. “Just not here. Not like that.” He waved his hands at her like she’d shown up in nothing but her corset. “And where exactly am I getting married?” she asked, immediately wishing she hadn’t. “Then they’ll be disappointed,” he said, her boots in hand. She shook her head, for it was all madness. She was getting married to Francis and that was the end of it. She turned and caught up her bouquet. The fancy veil would just have to stay where it was. She was getting married. Quickly. Margaret turned, for she could have sworn that those very words had come from John, but no, his jaw was set in a stubborn line that spoke of silent recriminations. But he’d said it. Hadn’t he? Certainly he knew it. Saw the truth in her eyes. What she knew in her heart. Right down to the boots he’d brought her. He moved quickly then and caught hold of her, discarding the fancy collection of hothouse blossoms with the same casual movement that he’d used to settle his hat. It plopped on the bench and left a scattering of petals. Her lips moved, to argue, that she’d come back here to get married, nothing more. But of course, John knew the truth. Francis’s letters had been a tie to home. The only ones she’d had in those long lonely months in Europe. The trip had seemed a dream come true—to see London, then Paris, but even as the ship had pulled out of New York, its whistle giving a low groaning cry, she’d known the truth. She was going in the wrong direction. So when those letters had come, they’d been like a lifeline pulling her back. “While I was over there, Francis wrote me every week.” And when he’d followed her, arriving out of the blue and proposed, offered to take her home, she’d accepted with a second thought. Home, it turns out, wasn’t quite what she’d thought. Her breath stopped, and she staggered to find her footing. Had she heard him correctly? She could see them, wavering softly in the wind, beckoning to her, the leaves chattering with their gossip, growing tall and strong, casting longer shadows each year. Like children, growing and changing with the seasons. And in the decades to come, strangers would come sit in their shade and wonder who it was who’d planted them. And whom he’d planted them for. He waited and when she didn’t answer, he shrugged, that careless tip of his shoulders, a line that before had been straight and sure, now slumped a bit. With a nod, he turned from her and began to tuck her clothes back into the saddlebags. 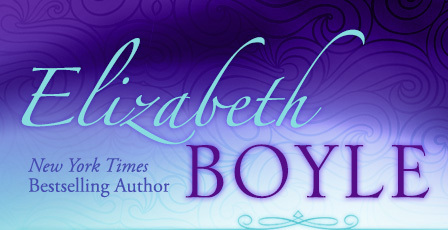 Margaret took a deep breath, then reached out and placed her hand atop his.